There is an old motto that says “Eat breakfast like a King, lunch like a prince and dine like a pauper” meaning it is wise to start the day with a large cooked breakfast. Such a motto could very much be applied to the traditional full Irish Breakfast. A large cooked breakfast of meat (bacon, sausages and black and white puddings), eggs, vegetables and potato all fried in creamery butter, it is served with a generous helping of homemade Irish soda or brown bread for soakage and washed down with a strong cup of breakfast tea such as Barry and a glass of orange juice. It is a meal that was traditionally concocted to prepare one for a full days heavy duty work on the farm on a cold winter morning and was comprised of the best local and homemade farm produce all cooked in butter in a frying pan. 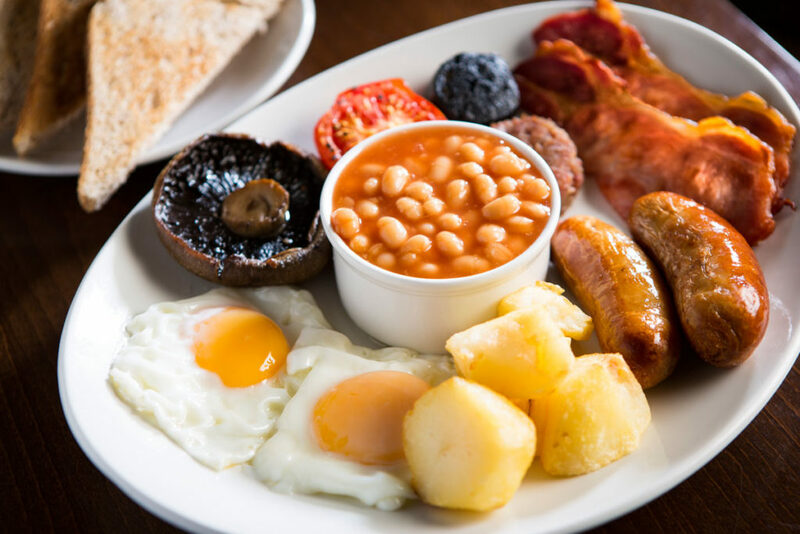 For visitors to the country a stay in Ireland wouldn’t be complete without first sampling the Irish breakfast whether it be the full version or a mini half portion. It is a meal that will fill you up and enable you to have the energy to make the most of a full days travel around the countryside.